The Killers release of their new album Battle Born is set for later this year and in the meantime you can check out the artwork for the upcoming single 'Runaways' above and also check out the album teaser below. Lead singer Brandon Flowers told Q that the new album is "still eclectic", "I've not thrown the keyboards away. But it's definitely heavier." A few of the other songs that are rumoured to be included on Battle Born are 'Heart of a Girl', Carry Me Home', 'Flesh and Bone', in addition to 'Runaways'. Now we just sit and wait. ***UPDATE*** Check out 'Runaways' below, it has all the same sounds as classic Killers tracks, and really has a powerful 80's glam-rock feel to it. It is almost like The Killers no longer make songs just to play for a small crowd, this type of song was made specifically for a large stadium sized crowd, either way I am alright with. Just goes to show you how far the band have really come and how big they are now in the music world. 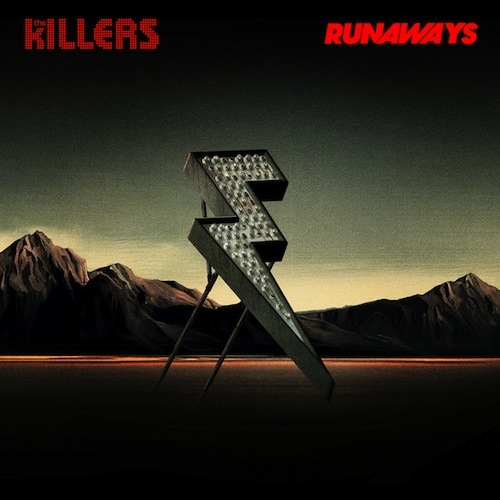 The heavy guitar hooks and Flowers vocals makes 'Runaways' an instant classic Killers tune.